and probably themselves will not be realized. Make big plans; aim high in hope and work." I came across this quote during my summer reading, but if you have studied the rich history of Chicago, you would have undoubtedly heard this Burnham quote. No small plans were made when Christ the King Jesuit College Preparatory School (CTK) first opened its doors to students in 2008. 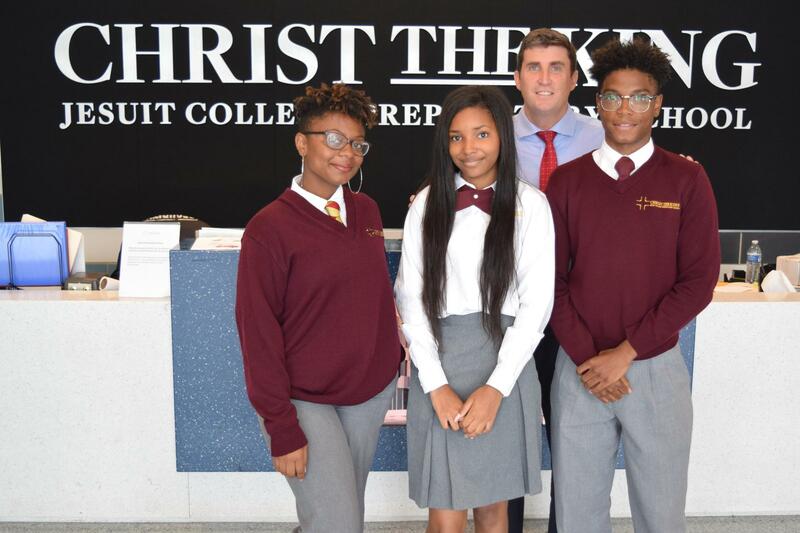 CTK became the 20th school in the Cristo Rey Network and the first Catholic high school to open on the West Side of Chicago in over 80 years. Now in our eleventh year, our school continues to grow in size, strength and faith. Our mission of providing a safe, affordable, academically excellent, Catholic education is succeeding. I invite you to come visit Christ the King, meet our students, and learn more about the mission.